Leading Australian manufacturer of petrol and diesel generator sets. 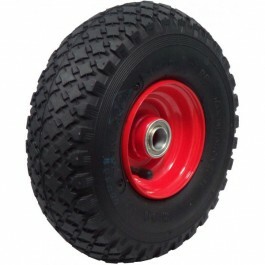 4 Pneumatic wheels for Powerlite generators. Factory fitted on order. Only 30ml of STA-BIL® will treat 10L of fuel and keep it fresh for 12 months. STA-BIL® is a blend of scientific additives which act together to prevent fuel from degrading and oxidising during prolonged storage. Whilst natural evaporation of the fuel will still occur, STA-BIL® acts to protect the fuel by ensuring that the entire composition evaporated at the same rate, eliminating the variation that cause petrol to go stale. Fuel that has been correctly treated with STA-BIL® should preform exactly the same as the day it was treated for up to 12 months or longer. 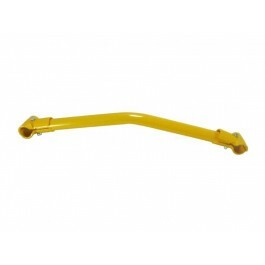 Long Range Fuel Tank 18L (Petrol), to fit Powerlite generators. Supplied fitted to the Powerlite generator on order. 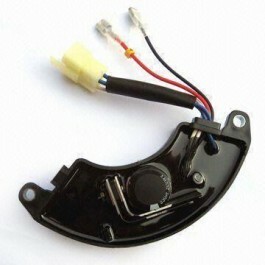 Wireless Remote Start For Powerlite Generator. Powerlite’s remote start/stop feature for your Powerlite Generator is perfect for roofers, brickies or anybody that needs a generator ready at the touch of a button. Takes away the hassle of having to climb down off the roof to start the generator. 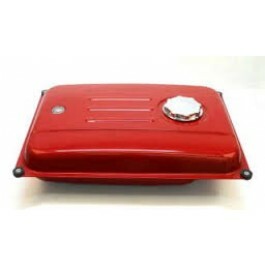 It is an Infrared remote Control withup to 100m range (Line of sight). Attached to the frame of your generator the lifting bar kit can be connected to a crane to make the moving of your Powerlite generator easy. The generator does everything we ask of it. Purchase was quick, easy and efficient. No hassles. Delivery was quick and easy. "Exellent service, delivery and generator"
I needed a reliable generator with adequate kva,s so I can complete jobs on some acreage that is not yet connected to mains power. This beauty is easy to start and runs superbly. I phoned sales person who was very helpful in organising transportation to Tasmania. Even organised transportation to my closest town at no extra expense. "Easy to order, quick delivery"
Product is working well but has had little use as yet. Site was easy to maneuver around, easy to process order and quick delivery. "Very happy with the new generator "
Very happy with my new generator started first pull. Very simple and easy to choose what you needed. "Good tradesman grade generator. " Bought as a farm generator to run a 160 amp welder and 3hp air compressor, does both with ease. Good quality Honda motor and solid generator. We've mounted it to a work trailer, and it's going just fine. recommend for anyone needing offsite power. Tank lasts 4.5hrs, less when under load. I opted for the electric start too. Just makes life easier. Great phone support when I called to order. Friendly, problem solving conversation. 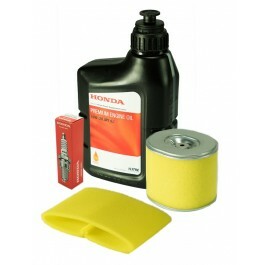 Genuine Honda service kit to suit PH080 Powerlite Generator / GX390 Honda engine. Service kit includes filters, spark plug and oil. Powerlite, Honda Powered 8.0 KVA. When it comes to power for the jobsite or at home, this generator shows ‘em who’s boss. Built and tested by Australia's leading manufacturer of generator sets, it is packed with rugged features to deliver dependable power that meets your trade needs. This 8000 watt (8KVA) generator is powered by a reliable Honda GX390 4-stroke engine with a recoil or optional electric start to drive a totally maintenance free brushless alternator for a continuous output of 6800 watts. That’s ample power for large and small tools around the jobsite or farm site. Low oil protection is fitted to all models. 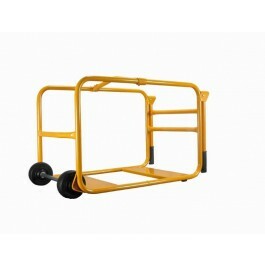 Optional extras include Earth Leakage Protection (ELP) and a Long Range Fuel Tank.Designed for the rugged demands of workmen all over, it’s built in a tough fully welded frame complete with heavy duty anti-vibration mounts for smooth operation. The 3-year Honda engine warranty and 2 year Powerlite generator warranty is backed by a national service network has your maintenance needs covered. This is our best-selling all purpose trade generator. Filled a huge gap in my works programme. Only took 2 days from completion of manufacture to home delivery. The generator arrived quickly after dispatch and had no problems with start up. Despite being 400cc engine the recoil start works first pull every time. So far only light loads running until the electrician installs switch over for house and workshop. The unit looks like a quality product. This is exactly what I've been looking for run my building equipment. It does exactly what the sale description say's it does. My Generator were very helpful Sean's good better best helped make my mind up. They delivered very quickly which was great because i needed it asap. I bought this product for the sole purpose of running a 170 amp BOC inverter welder out on my job sites. This generator has plenty of grunt and I'm extremely happy with the way it performs. Fantastic customer service with great product knowledge and fast shipping. Only used a few times so far running a cement mixer angle grinder and small mig welder. Not a problem for this machine. Upon arrival I put in oil and fuel and it started on the second pull. So far i am ultra pleased. Hi Folks, After a couple of months I was able to test the generator I received from you over the last weekend and I must say I am more than happy with the results it runs every thing at our local pistol club and was very much impressed with the unit. Great. Once again thanks for this unit. Product was exactly as described and works well. We bought the gennie to start building our Tiny House in our neighbours unpowered paddock. Has meant we've been able to charge drills, power saws and all the tools we've needed along the way. We're looking forward to having it as our back up offgrid energy source when we move in! Awesome online customer experience and thanks to the mygenerator team for prompt end to end service. We've asked some of the tradies in our area (and there are quite a few out here on the northern fringes of Melbourne!) and they've all said it's a great price for the generator. Very impressed with this robust and powerful generator. Your advice and prompt delivery were greatly appreciated. Honda motor with quality gen. How could I go wrong! Cheep, Fast shipping and answerd all my questions when I rang. Q:Need some advice; I have a small farm, looking so do some minor property work occasionally. Only one appliance at a time; Drill, circular saw, grinder and possibly small welder. Would this unit be suitable? Hi Martin, yes this this generator is likely to be a great portable power solution for your farm; it's a common choice for farmers, tradesmen, builders and professional contractors. Ideally you would know the exact wattage draw for each of your appliances to be certain the generator will have enough power. However as mentioned, an 8kVA generator such as this one is very popular for running drills, saws, grinders, small to medium welders etc.on worksites and farms. This unit is made in Australia and powered by a Honda engine, so if you ever need it serviced or repaired, there are over 400 approved service agents around the country. Q:Can I change this alternator to avr control? If I can what is the price? Q:I need to run two freezers, a bar fridge and a Slushie machine. Is this generator suitable or do I need the avr kit? Q:Could this genny be connected to my house mains to provide automatic backup power during a blackout? I imagine I would need a switch or connection of sorts to connect to the mains panel? Hi Scott - good question! Unfortunately, for automatic start the short answer is no: not this type of generator. To connect to your house mains electricity and provide automatic power backup, you need to connect an AMF (automatic mains failure) Panel to a two wire auto start generator. So the first thing you need to do is to look at the auto-start generator range; Pramac, Powerlite and Generac have models designed specifically for this purpose. All the generators in this range are fitted with two wire auto start and can be connected to your main switchboard via an AMF Panel (an additional accessory) that signals to start the generator in the event of a mains power failure. The installation needs to be done by a qualified electrician. However, for this Generator, you can talk to an electrician about fitting a transfer switch between the generator and your home switch board. This will provide backup power to your home, but you will need to manually start the generator - it will not start automatically as explained above. Q:How will it go running a small inverter welder say around 160amps? What size generator do they recommend to run your particular welder model? Typically, a conventional style 7-8kVA generator (like this one) will run a large number of welder models on the market, however some models require more power and a certain power type. So, its best to double check with the welding manufacturer to ensure you get the right generator for your particular welder make/model. Q:In terms of warranty, where can I find details of service agents for Powerlite Generators? For their petrol range, Powerlite mostly use Honda engines from Honda Australia. The Honda service agent network is listed HERE. Some petrol models have Briggs & Stratton / Vanguard engines, with their service agents listed HERE. For their diesel range, they use both Yanmar Engines and Hatz Engines. For specific generator/alternator warranty, servicing and spare parts inquiries for Powerlite Generators, you can find information HERE. Q:How is it that this generator has 15Amp outlets, but the generator’s power rating is greater than 15Amps? (as 15Amps equates to 3600watts on a 240Volt appliance). Presumably you can get more than 15Amps out of the outlets then? Yes, that is correct. A 15 Amp outlet can deliver more power than 15 Amps for a short period, as there is no circuit breaker fitted to the generator as standard. You can briefly pull the full rated power amount of the generator (continuous and maximum) through the 15 Amp outlet.. noting that this is only for a short time - i.e. when you are first starting up an appliance such as a comprossor, drop saw, air conditioner etc. it may draw around 30 Amps (as an example) to start up, and then drop back down to 10 Amps to keep running. However, if your appliance draws more than 15 Amps continuously, it is not recommended you run it for prolonged periods from a 15 Amp outlet, as it is likely to result in overheating issues. It may be prudent to consider re-fitting the outlets to a larger size to fit your continuous power requirement (i.e. 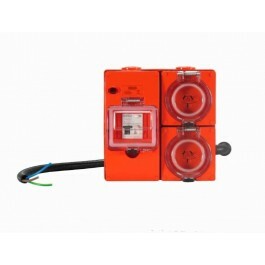 20 Amp, or 32 Amp outlet for example) - this can be configured upon request at extra cost. Thank you. Q:Are these Powerlite generators using legitimate Honda engines? Some cheap brands use Honda engine rip-offs. Hi there – Most definitely yes. 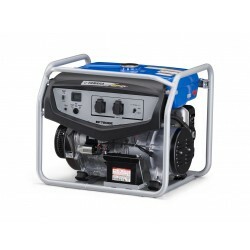 The Powerlite Petrol Generators use 100% authentic Honda engines purchased from Honda Australia. The engines come with a full 3 year commercial warranty, along with a 2 year generator warranty for frame, alternator etc. You can have the engine serviced or inspected by any approved Honda service agent around the country - there are more than 400 accredited service agents. 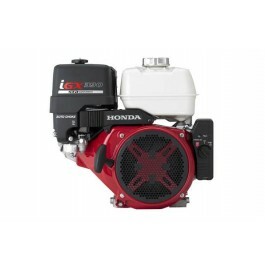 We are aware of some cheaper brands using imported "Honda" engines in generators and other power equipment which are not authentic engines from Honda Australia. 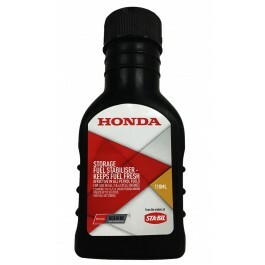 We do not stock any products that use non-verified Honda engines. Powerlite have been manufacturing generators in Australia for over 50 years and are a leading brand for tradesmen, farmers, mining companies, and professional contractors requiring portable power. Q:Do I need AVR to charge batteries via the Stanbury Constant Voltage charger? Q:What oil does the engine need and how often should I replace it? The service schedule for the Honda GX390 is oil change after first 20 hours. Q:What is the power output wave form? Pure sine wave, modified sine wave? Hi Jeff, this is a conventional generator using a brushless alternator that produces a power output with harmonic distortion of +/- 5%. A conventional generator is designed to run appliances with resistive and heavy loads, e.g. power tools, farming equipment, domestic applainces without microprocessors. Conventional generators can handle 'overloading' for short periods, where an appliance will surge (usually when starting up) briefly. However, conventional generators are not intended to run sensitive electronic equipment (e.g. TV's, laptops, mobile phones etc.). Conventional generators are built tough and are popular for trade, construction, farming, industrial use, plus certain domestic requirements. The type of generator that produces pure sine wave output is an inverter generator. An inverter generator can run sensitive electronic equipment. Note that Inverter generators cannot handle large 'overloading' that conventional generators can. Too much overload on an inverter generator will cause the generator 'trip the breaker' and stop producing power. These inverter generators are quiet, fuel efficient and are designed for recreational use, small home backup, DIY tasks, small mobile business and small events. Finally, its worth mentioning AVR Generators. This type of generator has an Automatic Voltage Regulator (AVR) fitted, so they reduce large voltage fluctuations that can potentially damage appliances. These types of generators are commonly used for Domestic backup applications and small business backup requirements. Q:How would this unit cope with a 10cfm compressor as well as a drop saw going at the same time? Hi Kevin, compressors and drop saws are definitely popular pieces of equipment to run from this Powerlite Honda 8kVA Generator model. In terms of sizing, ideally you would know the exact max (starting) power draw (either in watts or amps) of your compressor and drop saw. You should be able to get this info from the product manual / data plate, or by calling the product manufacturer directly. Failing that, an electrician can always take a reading on the starting power draw of your appliances. However as an approximate guide, the compressor you have mentioned appears to be around the 3 horsepower (approx.) size, which can draw around 5000 – 8000 watts on start up depending on the compressor make and model. A 10 inch drop saw will draw around 2000 watts (approx. ), so again it depends the size of your drop saw. Note that this generator will also be able to handle some power overload for a short period. 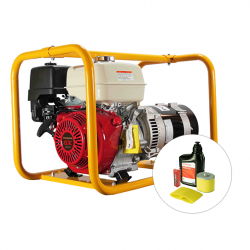 In summary, this generator is designed to run compressors and drop saws on work sites, but just to be certain it can handle your particular pieces of equipment at the same time, you should find out the starting power requirements. Q:Can I use this generator to charge my power tool batteries? Charging battery packs is fine from a conventional generator, we'd recommend having a steady load on the generator and don't connect appliances that will cause the load to jump around during charging.